Come fulfill your dream of flying. Pressley Aviation provides Flight Training and aviation services in the Charlotte area. We now offer Flight Training in two locations, our main office is located at our new location is at Stanly County Airport in Albemarle, NC. We are also keeping aircraft at Monroe airport for rental. Our flight school is focused on safely training you to achieve your dream of flying. You are closer than you think. We also offer other aviation service as well. Please see our Services & Specialties page for a complete listing of the various services we offer. Our Experience Shows! Leighton Pressley, Chief flight Instructor for Pressley Aviation has a Gold Seal Flight instructor certificate and has signed off and passed over 100 new pilot ratings, ranging from Private, Instrument, Commercial and Certified Flight Instructors over the last 10 years with a 90% first time pass rate. This does not show the complex, Hi-performance, and tailwheel instruction and endorsements that have successfully completed. Pressley Aviation and its associated flight instructors have instructed and passed more students than any of our competitors. Please ask the right questions and do your homework. Fly like the professionals. Come fly with the professionals at Pressley Aviation. Our knowledgeable and experienced instructors will usher you through the learning process to help you accomplish you flying goals. 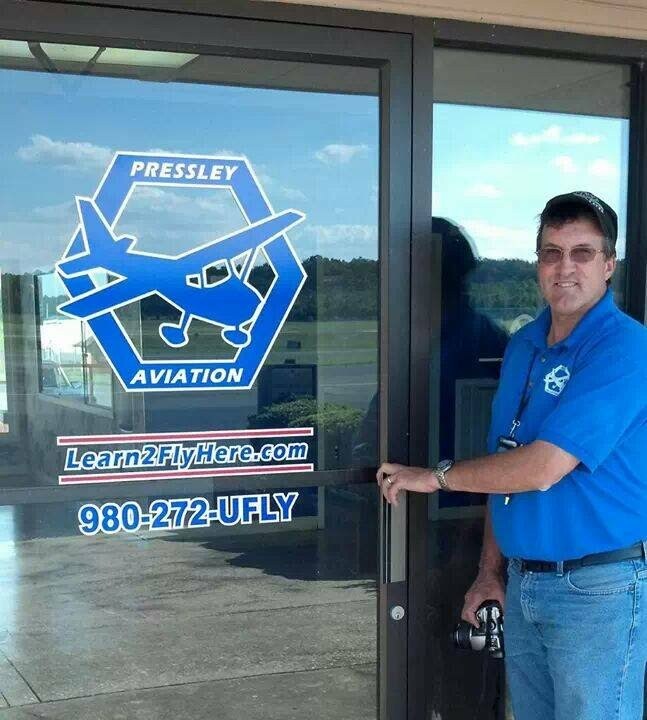 From a Sport Pilot certification all the way up to Certified Instrument Instructor, Pressley Aviation and Flight Training is ready to serve your flight training needs. Pressley is more than just a flight school, we treat you like family in a fun, relaxed atmosphere. Our Experience Shows! Leighton Pressley, Chief flight Instructor for Pressley Aviation has signed off and passed over 60 new pilot ratings, ranging from Private, Instrument, Commercial and Certified Flight Instructors over the last 10 years with a 90% first time pass rate. This does not show the complex, Hi-performance, and tailwheel instruction and endorsements that have successfully completed. Pressley Aviation and its associated flight instructors have instructed and passed more students than any of our competitors. Please ask the right questions and do your homework. Fly like the professionals. Come fly with the professionals at Pressley Aviation.